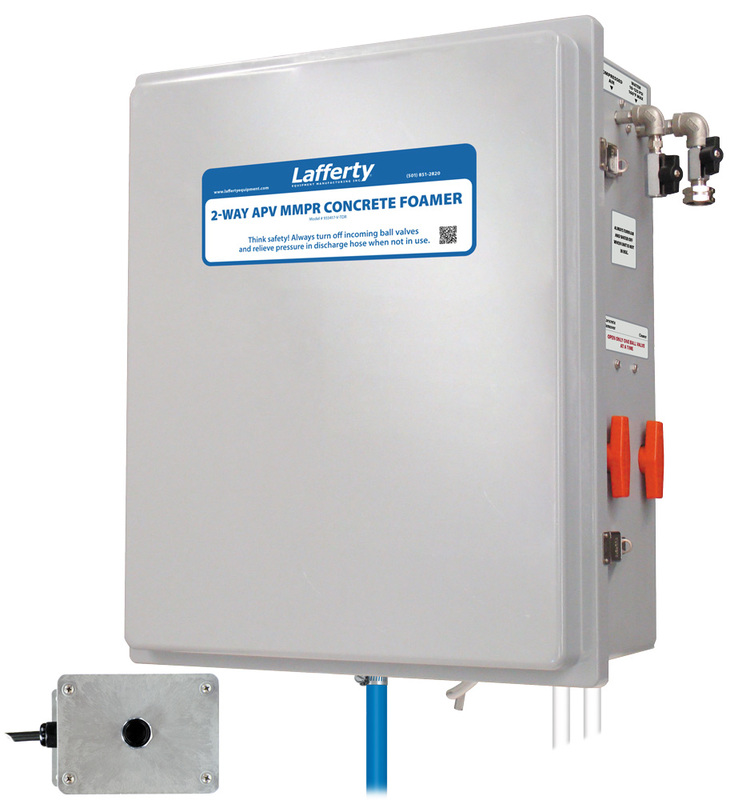 Timed Delay 2-Way APV MMPR Concrete Foamer | Lafferty Equipment Manufacturing, Inc. The Timed Delay 2-Way APV MMPR Concrete Foamer is a low volume foam applicator for projecting 2 highly corrosive chemicals or two ratios of the same chemical such as those used to remove concrete and for aluminum brightening. This acid-resistant system uses a cost-effective Flojet air-operated, double-diaphragm pump and water pressure to draw and blend two chemical concentrates from static containers with water or project neat chemical. Compressed air is injected into the solution to greatly increase volume and coverage ability. Rich, clinging foam is projected through the hose, wand and nozzle on to any surface. A dual-function timer controls the length of application and the delay time before the system can be restarted, preventing immediate reactivation and chemical overuse.